Well, they're a couple of people you're already sort of familiar with if you've been visiting the site for a while, but I'm no less excited to welcome Vanesa R. Del Rey and Steve Mannion to the OOSA family!! We've been working with Steve and Vanesa through the OOSA Print Shop for some time, but now we are going to offer their original art as well (coming soon) and make them official members of the collective. And what better time to welcome them aboard than at Heroes Con. That's right! 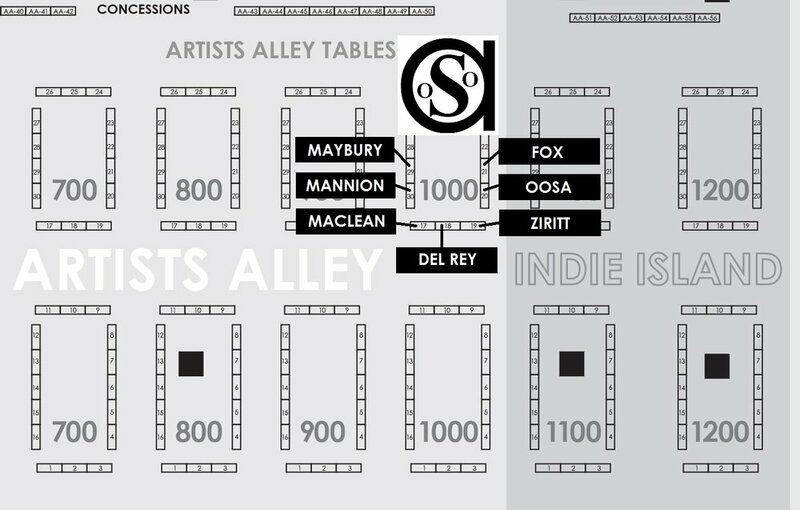 Vanesa and Steve will be hanging with Paul Maybury, Nathan Fox, Alexis Ziritt, Andrew MacLean and myself in the 1000 block of Artist Alley June 15-17. Be sure to come by to say hello and give them a proper welcome.